By Tony Ogorek, CFP®, Ed D.
Are you looking to take out a mortgage, sign-up for a new phone plan, or begin a car lease? 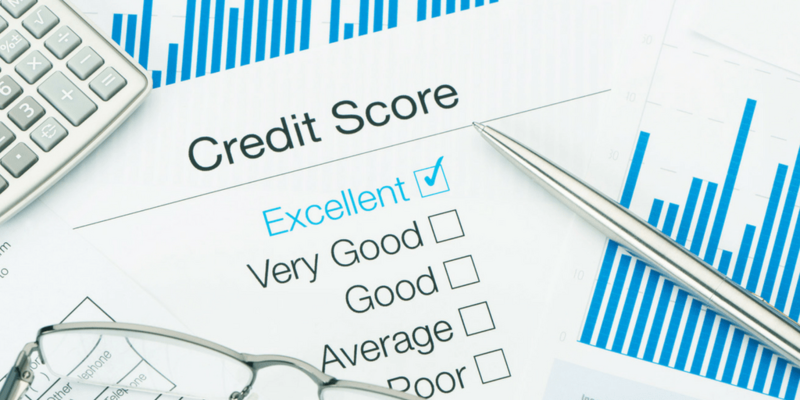 In order to get one of these three things, you will need a good credit score. Everyone is assigned a number that deems you creditworthy. If you ever had a credit card, a loan, or an apartment rental, then you have a credit score. Many banks and credit card service providers provide free access to your score. If your bank does not offer it, there are many websites out there that let you view your score for free such as Experian and Credit Karma. Do you see what range you are in? Here is a breakdown of the contributing factors to your score. Payment History (35%): This is the most heavily weighted factor on your credit score. Lenders want to know if you paid your debts on time. Amounts Owed (30%): If you owe money on your credit accounts, it doesn’t necessarily mean you’re a high-risk borrower with a low credit Score. However, when a high percentage of a person’s available credit is being utilized, this may indicate that a person is overextended, and is more likely to make late or missed payments. The sweet spot for credit utilization is between 20% and 30%. Length of Credit History (15%): In general, the longer the credit history, the higher your credit score. Credit takes time to build so do not fret. If all other factors are looking good, you can still attain a high credit score. Accumulation of Debt or New Credit (10%): Research shows that the accumulation of credit bearing accounts in a short span of times shows risk. New accounts will lower your average credit account age. 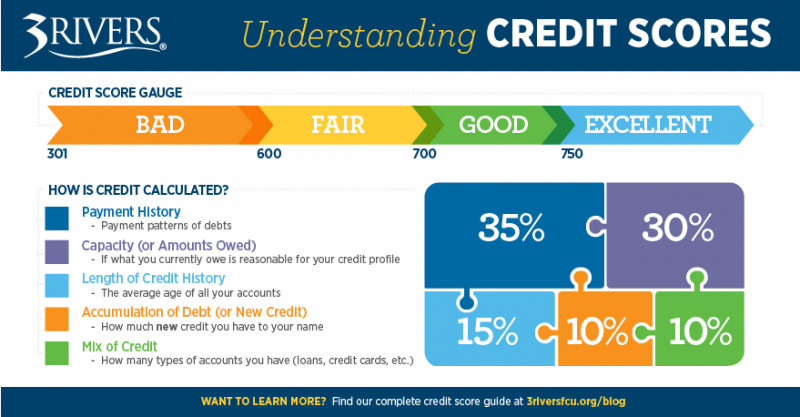 When applying for new credit, inquiries are made and this generally lowers your score (only by a small margin). The Credit Mix (10%): Your credit score looks at your mix of credit cards, installment loans, finance company accounts, and mortgage loans. Only open accounts that you intend to you and make sure to keep track of them. A good credit score has it perks and saves you money in the long run. You can get better interest rates, a greater likelihood of loan and credit card approvals, more negotiating power and plenty of other benefits.